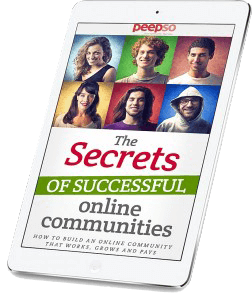 Ever since PeepSo was released we’ve always had questions about a theme that works best with PeepSo. We made it our mission to make sure PeepSo works with most themes out there and I’m happy to say: Mission Accomplished. Here’s the thing, though. Since we’re relying on 3rd party themes we could only do so much. No more compromises. Gecko is here and it’s here to stay. As I mentioned above, we did get asked, still do, about a theme. Our reply was always: that we’re not really a theme company but here are some recommended themes. With relying on third party themes everything was out of our hands. No control over the actual display and, not entirely anyway. A time finally came and after creating a proof of concept, we got amazing feedback from the community. We felt like we could actually do this and do it well. The time where we were actually able to create our own theme which could showcase the possibilities of PeepSo beyond plugins displayed in a 3rd party wrapper is here. Why is it called Gecko? Because geckos are awesome, that’s why. Theme was being developed for quite some time now, I’d say about a month or so, and we were doing internal testing on 1.X versions. That’s why it’s released as a 2.0.0.0 BETA. While we’re in the beta stage we’re extremely open to any and all suggestions when it comes to the features of the theme. What can we add, what can be improved. I do ask one thing, though. Keep in mind that we’ll be focusing on PeepSo-First approach. It’s not advised at the moment to use it for production sites. We do on our demo site, though. Call us crazy, overconfident or enthusiastic, but we’re happy with Gecko already. With our frequent release cycle we’ll definitely get to a stable version soon. How soon? I’m hoping the beginning of next year we can easily go into a fully stable theme. 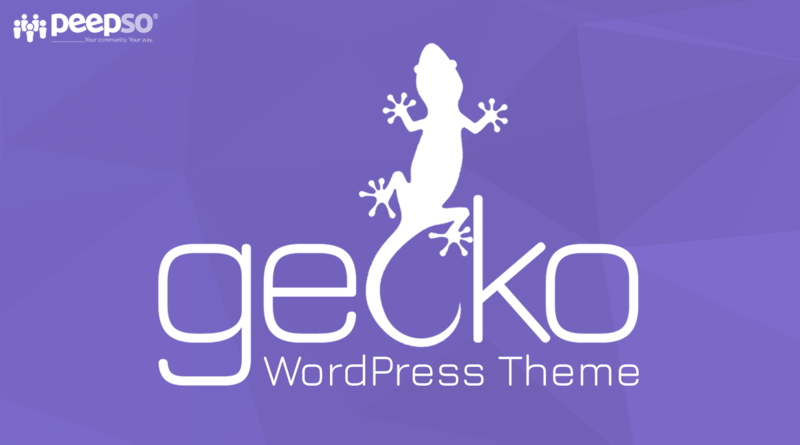 Gecko is a theme designed by PeepSo team for PeepSo plugins. Period. It doesn’t mean that it can’t be used without PeepSo in the picture. With that said, our primary development focus will always be to make your community better in every possible way. If you have any ideas on how to improve Gecko’s compatibility or styling with other plugins, let us know. 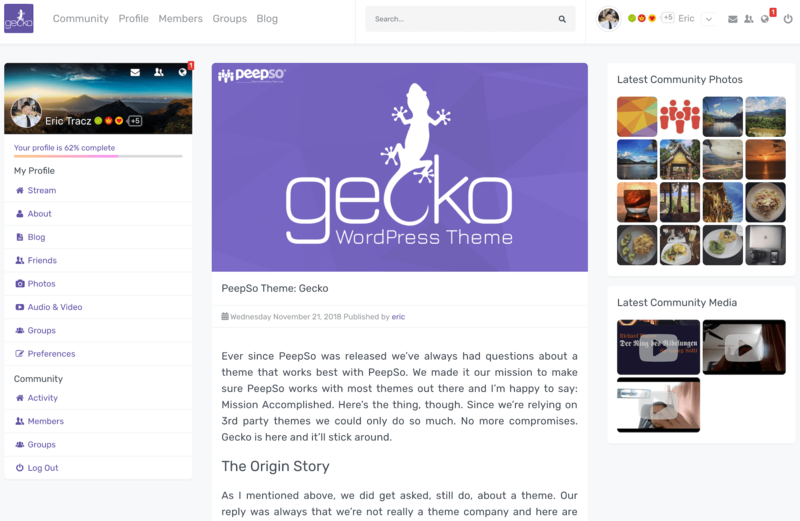 Since Gecko is a PeepSo-developed theme, we’ve ensured that it fully supports and works perfectly alongside all our PeepSo plugins; capitalizing and leveraging on each other’s features. That’s why there’s a soft version lock on the theme. It might sound complicated but really isn’t. We want to be able to release the theme independently from the plugins and yet make sure everything works perfectly fine. Pretty much first 3 numbers of the versions should match to be able to fully enjoy the features. Let’s say you have a PeepSo 2.0.0 installed. You can use Gecko 2.0.0.1 or 2.0.0.89 etc. That said, if you’re still on PeepSo 1.8.9, or even 1.11.5, some of the functionality won’t be there. You need at least PeepSo 2.0.0. What a great coincidence that PeepSo 2.0.0 was released 24h ago. A great navigation and site header really does make a difference. Especially with community sites. Being asked a lot about how to add notifications to the menu first we went and created the PeepSo UserBar widget. People still had problems with it as 3rd party themes not always have the capacity to place widgets in the header area. At least not easily. With that in mind, Gecko comes with a dedicated Header Widgets position. Place PeepSo UserBar widget there and you’re done. Gecko Header with Menu, PeepSo search and PeepSo UserBar. Of course, menu can be fully customized in the backend of your site > Appearance > Menus, search is used for PeepSo Activity Stream and can be disabled in the backend of your site > Gecko Settings. We also built- in an option to disable the black WordPress admin bar in the same place. There’s no need for extra plugins or code. Gecko comes with built-in templates for PeepSo pages. With this release we were able to ship User Profile and Members pages. With the future updates we’ll introduce layout options for: Groups, Messages and more. 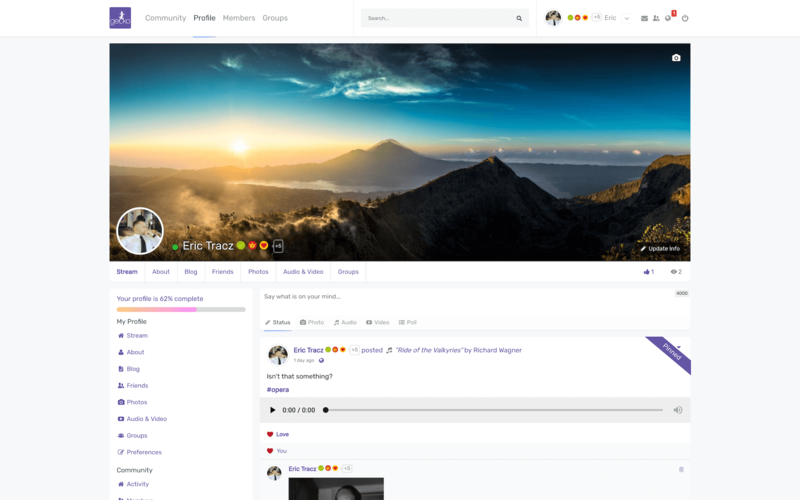 Definitely will add more layout options to User profile and Members pages too. To get to the pages template options go to the pages containing User Profile for example. Edit the page and on the right side in Page Attributes you’ll see Template. Select User Profile. Save changes. And on your right layout options for the page will show. The steps are the same for the Members page. Just pick Members from the template list. User Profile layout options with page template. Which is rather self-explanatory. Profile cover is surrounded by widget positions on left and right. 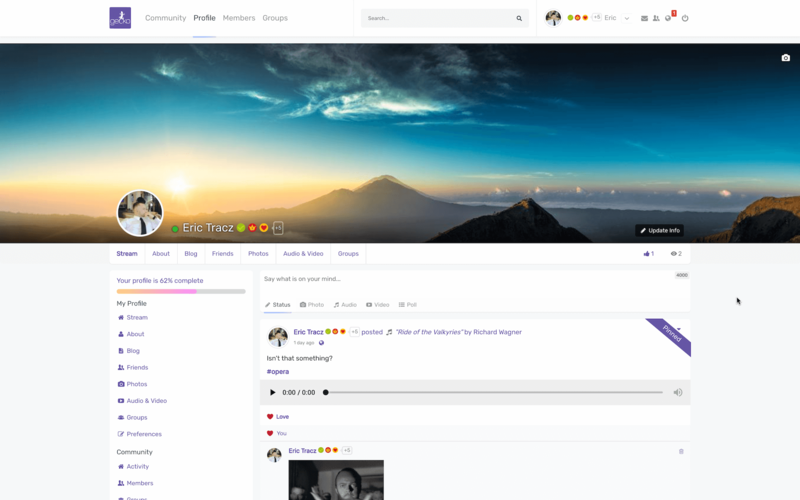 User Profile with Default template option. 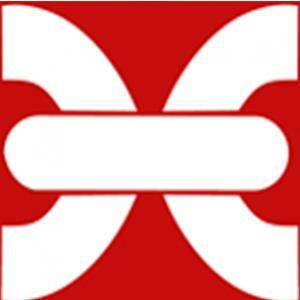 Profile cover is wider and profile positions are put below on either side of profile content. 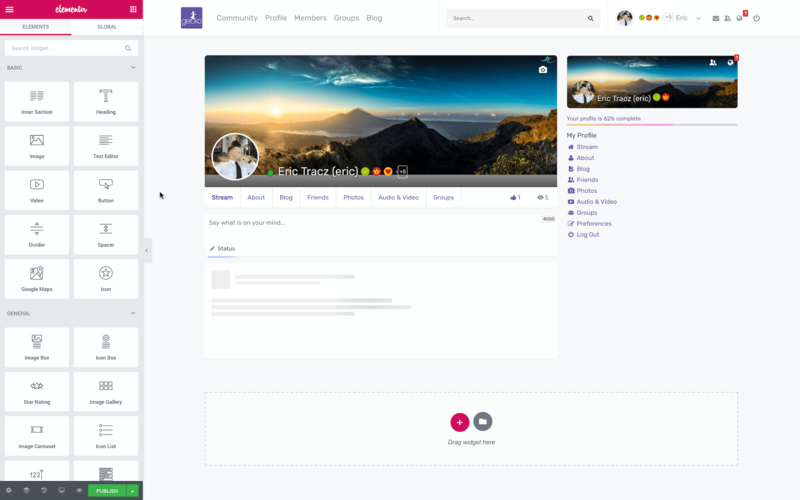 User Profile with Boxed template option. Profile cover is stretched full-width, edge to edge giving a fantastic display of user covers. Widgets and all content is shown below. 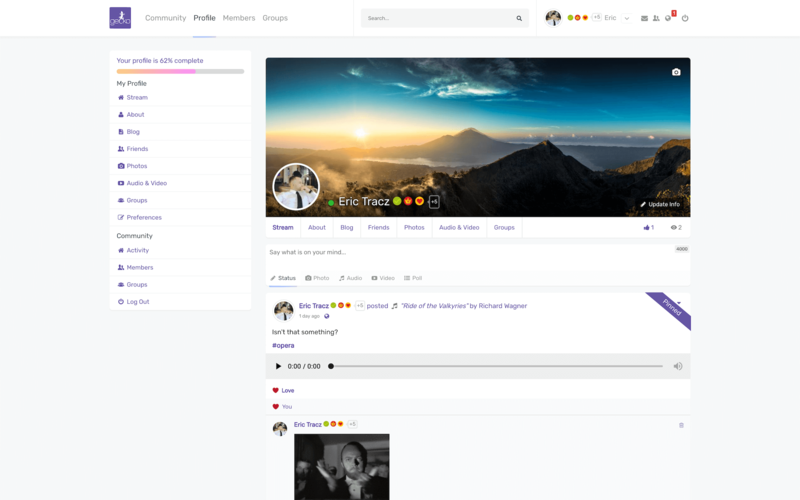 User Profile with Full template option. Now let’s see Members page. To set a particular style to a widget go to the backend of your site > Appearance > Widgets. Click on a widget in any position and at the bottom you’ll see: Gecko options. I could go on describing what each of the styling options does. Instead I’ll just share an image that’s definitely worth more than a thousand words. Easy customization options are built right in the theme. Color schemes as well as options to modify the logo, add custom css and more are available out of the box. The options are rather basic at this point, but we’ll be adding way more as we go forward. We’d definitely love some feedback on this as well. You can use Gecko without PeepSo. No worries here. If you just love the way it looks and feels, install it on your site, enable and you’re done. Don’t need PeepSo to use the theme. It’s completely standalone. Feel free to use it for your blog, shop or anything else you can think of. The best thing about it that you can go through the blog post by post and still feel like you’ve never left the community. It’s a seamless experience, especially with the header and widgets surrounding posts. Page builders are an essential part of creating a website for many people. With that in mind we are making sure that Gecko works fine with the WordPress Page Builders. Right now we can recommend using either Elementor or Beaver Builder. Most page builders should work out of the box. Of course, if you find any issues with any page builders, please do let us know. You can see Gecko in action on our demo site alongside most of our plugins. Gecko is a BETA release and to be honest you guys didn’t give us much choice here. Ever since we announced we’re working on it, every single day at least a couple of times people come asking where is the theme. Well, here it is. Because it’s a beta release and because love to give back, plus we’d like to hear your feedback, Gecko prices are slashed 50% for the first year. Below you can see regular pricing for the theme. Be sure to use the promo code marked nicely in red just under pricing to get the 50% discount. 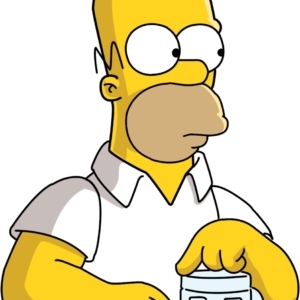 Of course, an active license gives you access to: downloads, updates, upgrades and technical support. After the license expires, you can keep using the theme indefinitely, but access to downloads, updates, upgrades or technical support won’t be available. If you feel you need more than 20 Sites License, contact us. Hi Eric. Can we no longer create groups from the front end in Gecko? Thanks. Rick that's a bit odd, please open a ticket. Hi, i wanted to know about the possibility of an shopping cart in the Gecko header - is there something planed? along the new gecko header and the woocommerce integration it would make sense to include the basket icons and some info counters how much items and what actual amount are in the basket. Matthew please check the possibility for the future.